Today is Halloween, a holiday which celebrates the strange and supernatural, and it seems appropriate to discuss ghosts. Every year, ghosts materialize to trick or treat as bed sheets with eye-holes. But when it comes to Craigslist, being ghosted is anything but fun and games. In fact, ghosting and flagging can cost you deal after deal. The horrifying thing is that you could be none the wiser. 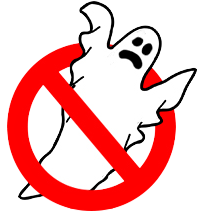 But what exactly is “ghosting” and why should you and your business be afraid? Ghosting is an appropriate term applied to posts that have been made invisible by Craigslist. These posts cannot be seen by users searching the listings, so auto dealers will not get any leads from these ads. Worse still, Craigslist will not inform the poster that his or her post has been ghosted, unlike flagging. As a result, ghosting is something to avoid at all costs because these “dead” posts cannot be seen, even with a sixth sense. Craigslist is a website that takes the concept of newspaper-like advertising to the online sphere. At its core, Craigslist aims to serve individuals seeking other individuals, whether they aim to conduct business or otherwise. As a result, Craigslist does not take kindly to mass advertisers who would like to promote their products on this website. True, advertising on Craigslist can be tremendously beneficial and profitable. But at its core, Craigslist does not want these kinds of posts and actively seeks to construct barriers to business advertising. Though the majority of businesses won’t have trouble posting individual advertisements manually, the same cannot be said for automated Craigslist posting services. These services must find a way to maneuver around the undisclosed factors that contribute to posts being flagged and ghosted. However, while these services pose some risk to listings, what businesses have the time and funds to post each advertisement separately? As a dealer, you may need to upload hundreds of vehicle advertisements, but how do you strike a balance between fast posting and getting ghosted? WebManager, the AutoManager online dealer marketing platform, conveniently features a Craigslist auto posting utility that puts the power in your hands to post at your discretion. Not only can you automatically import your vehicles to Craigslist, but WebManager conveniently informs you if your vehicle listing was ghosted. While other Craigslist automatic posting functions will limit the amount that you can post, WebManager gives you unlimited posting power. But don’t forget that posting too much and too quickly will do more harm than good! • Post Frequency – Do not post more than 10-15 vehicles on any one day, especially to start out. Even after posting consistently, try to post less than 40 cars every two days to avoid penalties. • Timing – WebManager gives users the option to adjust the amount of time between each vehicle post. Giving more time in between posts will appear more human, and posts will be more likely to stick. In contrast, listings posted too quickly in a row will be more likely to be flagged or ghosted. • Reposting – As a rule, do not repost a vehicle within 2-3 days of its original posting. Listings will stay in search engines depending on how many listings are posted in that area, so areas with less Craigslist posting should be more careful and infrequent when reposting. • Prefixes and Suffixes – Adding prefixes and suffixes, such as “Guaranteed Financing” and “Excellent Condition” can help attract attention from customers, but overuse is not recommended. Create a list of 10 prefixes and suffixes to apply and stagger their use; do not post a batch of vehicles all with the same prefix or suffix. The best recommendation is really just to err on the side of caution when using the Craigslist auto posting utility. Knowing that Craigslist actively works against automated posting functions, it is wise to try and post inconspicuously. Avoid large batch posts and overly-frequent reposting. Once you have established a safe posting frequency, feel free to experiment with batch sizes and more frequent uploads. If you are just starting out, take a more restrained approach at first. And remember, always beware of ghosts!